Szal Design has experience in developing 3D computer models and renderings. From small scale jewelry, to packaging, to kiosks, to architecture, we can help your dreams come to life. Szal Design was asked by startup Tripchi to design Airport 2.0 – the airport of the future that every passenger will love. Because of the scale of the airport, and the detail required to be present, this was Szal Design's most complex 3D modeling and rendering project to date. View their website here. A rendering of Pop of Color Babiators from their 2017 Collection. A rendering for the original Cape Clasp Hammerhead rope bracelet design. A trade show booth design. The design is modular, meeting the various dimensional requirements of multiple trade shows. Dimensional Design, of Atlanta, GA fabricated the booth. Rendering of the third generation product display for Babiators. This display holds more product than its replacement, has additional room for photos, and swivels 360 degrees, all in a smaller volume, saving in shipping costs. 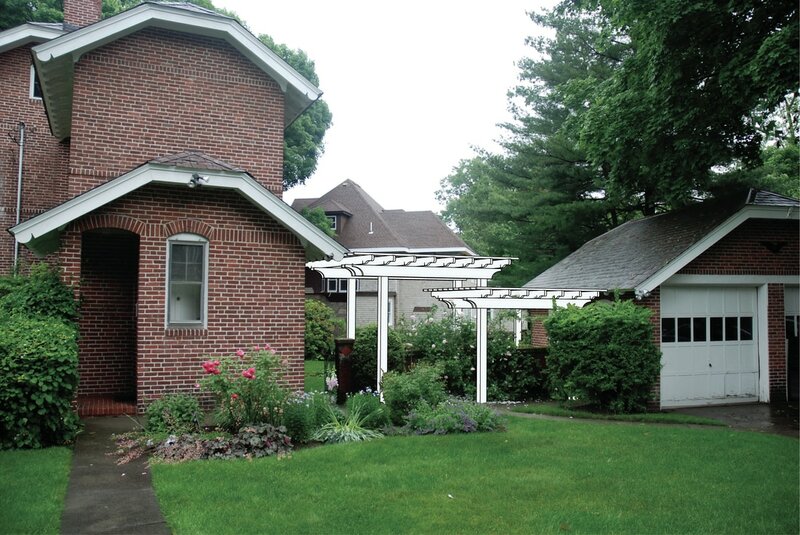 Szal Design was tasked with designing and building a pergola for a residence in Newton, MA. This image was developed to give the clients an accurate illustration of how the pergola would fit into its surroundings.